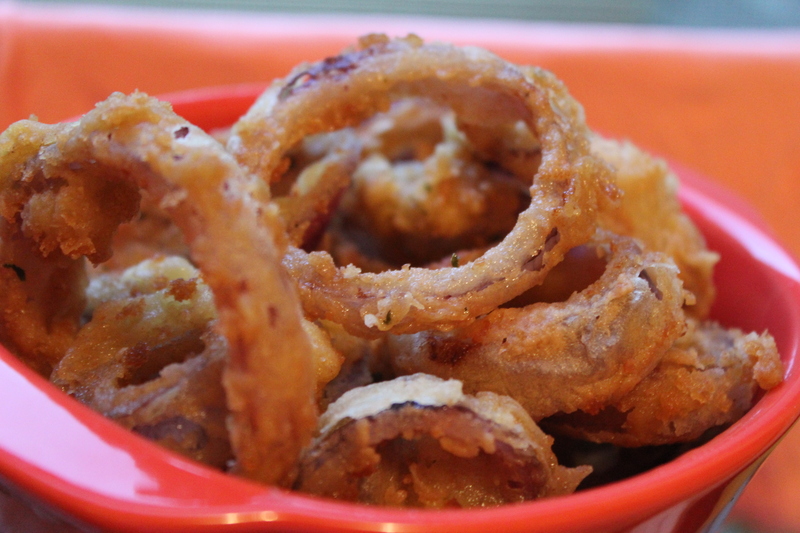 Who doesn’t love onion rings !!! At least I can’t resist myself jump at those golden rings of joy , no matter what is the time , whatever is my health condition or where I am !! I just had a gall bladder removal surgery and I’m strictly told not to indulge myself in any junk and fried foods !! These days , I feel bad looking at my kids , they are bored and is missing my handmade foods !! So what would be a great excuse than that !! 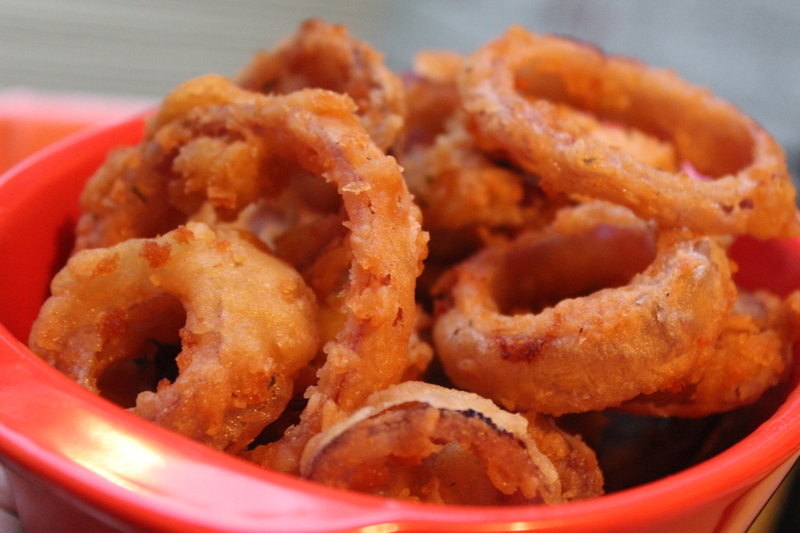 Decided to make a bowl of happiness – onion rings !! After ten dull days , I think I deserve a little happiness..
1. Separate the rings from the onion slices . 2. Make a batter with the ingredients mentioned above . Coat the rings carefully with the batter . 3. Now dredge on the dry flour mixture . 4. Fry on medium flame until golden brown . This entry was posted in Glossary / Notes, Snacks, Snacks and Lighter Fare and tagged easy snacks, fries, onion ring, Onion Rings, restaurant style onion rings, snack recipe. Bookmark the permalink.